It’s the first birthday of Surfabella today. A year ago today I hit publish on my first post then ran away and hid in a cupboard because I was a bit shy about sharing my words. Surfabella started as a way for me to channel my longing (stropping and sulking) for the sea and to surf into something constructive rather than just continuing to alienate every human and some animals around me by boring them to death with surf talk. It has become so much more. So, I find myself looking back at the year I turned 40 and a year of Surfabella. Sharing my writing for the first time was pretty daunting but, I have learnt a lot about myself from the jumble of letters that fell onto the page and by being so honest with my pen. The act of writing it all down seems to have carved the path ahead for me so I can see which direction I’m headed in. The year was not without its ups and downs and some major upheaval but, who wants to know about those? My shoulder healed, I ran a half marathon I didn’t think I’d be able to do so shortly after my injury. I met fellow blogger LLSG who has become a true friend and great surf buddy. Along my travels I have met and built up a little network of friends and lady surfers all over the place, specials thanks to Surf Senioritas for this. 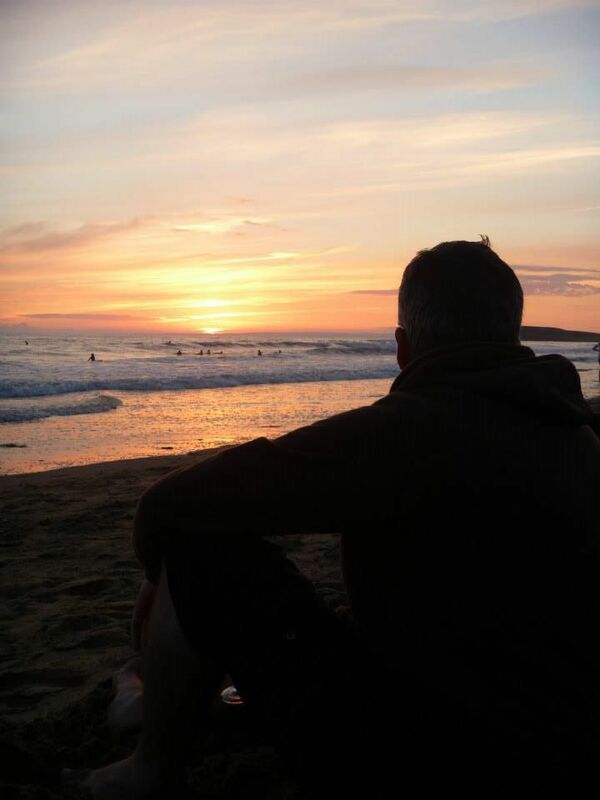 A year of firsts, I visited Morocco, Cornwall and Devon for the first time and surfed Scarborough and North Wales. I had my first winter surf at Christmas and saw the snow on mount Snowdon from my board in the sea which was magical! I lost a bit of fitness, gained some back, lost a bit of confidence, gained some back and my surfing deteriorated then improved. I almost moved to Bournemouth, then didn’t. I continued to try and change my landlocked situation so I could get to the coast more and I finally found a way. As of September I will only work 39 weeks a year, for ever. I have an Endless Summer for ever! Putting all the me, me, me aside for a change though, the absolute best thing to come from Surfabella has been the messages I have received from people who said they have been inspired to do something after reading one of my posts. People have said they can identify with the honest and not so glamorous truth of learning to surf or just trying something new a little later in life and of not being perfect or gorgeous or brilliant at everything. If one person reads something I write and nods or smiles as they recognise a piece of themselves in my words, if just one person says I can do this where normally they’d say I can’t , that’s more than I ever imagined when I tentatively wrote my first words here last year. For that and for the 4828 readers in 61 countries I am truly grateful. So, while celebrating this great year Surfabella is looking to the future and some exciting changes are on the horizon. Regular readers will know my friend, ‘the man with long legs’, who also happens to be the talented artist behind my logo. From here on in I’ll call him JT. He’s currently in a darkened studio in deepest, darkest Leicestershire ( no, it isn’t locked from the outside) working away on the new look for a revamped Surfabella which is coming soon. We are also working together developing some products which we will be launching later in the year. You might say we are now officially working in a tiny team, we celebrated this last Friday by drinking way too much beer, red wine and bourbon. I’m stoked to officially welcome my biggest supporter, encouragement, friend and pointer out of typos to Surfabella. Here he is being myserious, he’s a bit on the shy side as opposed to moi who is an incurable show off. On the surfing front I’ll be embarking on my first year of having the time and means to get to the coast more often. So, keep reading to find out where this adventure will go next, I’ll be blogging about what I get up to and hopefully meeting some of you along the way . Me and Surf Bloke BFF are off to Morocco again in November and I’m hoping to see a lot more of the UK coast. Will I ever get out of the white water? Will I meet a handsome silver surfer? Will the Baked Bean stall on more hills in Cornwall causing traffic jams? I’m really excited to find out, stick with me . I just wrote about this in my little wrap up of the book I was featured in called Legacy of Stoke. In surfing, there are surfers like myself and surfers who are novices. The idea of a soul surfer is actually pretty lame. On the surface there are seemingly many differences between yourself and Stephanie Gilmore but the reality is that you both love surfing. So the most important thing is to surf. I think that goes beyond surfing. Life is better when you have a passion about something. New Year’s Resolutions Still Going Strong ? Do you get a bit sulky when you Surf?